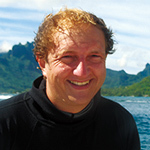 Adapting to a Changing Climate — Pro-vision Reef Inc.
Scientists tell us that human development activity worldwide since the Industrial Revolution in the 18th century is causing changes to global climate that have not been seen for hundreds of thousands of years, at a pace that is likely to exceed anything experienced for many millions of years. Naturally occurring gases in our atmosphere, including carbon dioxide, trap heat in the atmosphere that helps maintain Earth’s average temperature at a habitable level. Without this ‘Greenhouse Effect’, Earth’s average temperature would fall below freezing. Human development activity, including modification of the landscape for settlement, agriculture and forestry; and generating energy through burning fossil fuels that had been stored in the environment for more than 300 million years since the Carboniferous Period1, are now increasing the concentration of carbon dioxide and other gases in our atmosphere, amplifying the natural warming caused by the Greenhouse Effect. This ‘Enhanced Greenhouse Effect’ gives rise to measurements, observations and predictions around global warming and climate change. Australia’s national science agency, the Commonwealth Scientific and Industrial Research Organisation, states that, for the past 800,000 years, the range of atmospheric carbon dioxide concentration has been 172 to 300 parts per million. Consequently, this is the range experienced throughout the existence of humanity. The concentration of atmospheric carbon dioxide at the time of publication was about 400 parts per million and rising at a rate that is continually increasing. Manifestations will be realised first and more acutely at higher latitudes, inland from the coast and at higher altitude. However, the changes also affect the Great Barrier Reef. There are concomitant implications for reef-based industries that must be considered as part of a wider adaptation strategy. 1The Carboniferous Period lasted more than 60 million years and had the highest atmospheric oxygen levels the Earth has experienced. Plants grew and died at a great rate and eventually became coal and oil.